From Wednesday - Friday from noon - 5pm and Saturday from 10am - 5pm. This November, we welcome back Nickel Plate Arts Studio Artist J. Rodney Reveal for another Artist Showcase in our Stephenson House gallery. An award-winning artist and local favorite, Rodney will celebrate another year of art by featuring work from the past 12 months, including new pieces inspired by his travels from the last year. 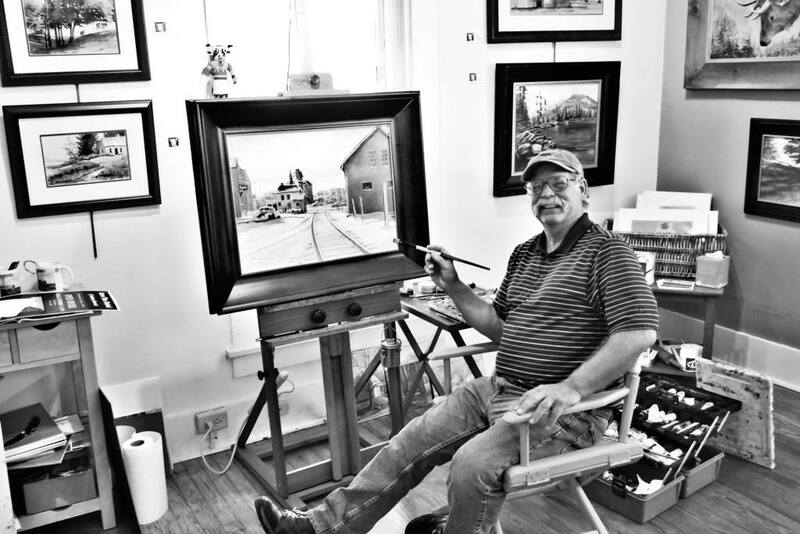 The showcase will also include selections from Rodney’s “Hometown Series,” a collection of paintings depicting nostalgic scenes of Noblesville; many of which are beloved by his many customers. Stop in on Saturday, November 3rd between 11am - 2pm to view this exhibit and warm up with a delicious cup of soup during Rodney's reception. Outside the reception, Rodney’s artwork can be viewed during our regular gallery hours: Wednesday - Friday from noon - 5pm and Saturday from 10am - 5pm.